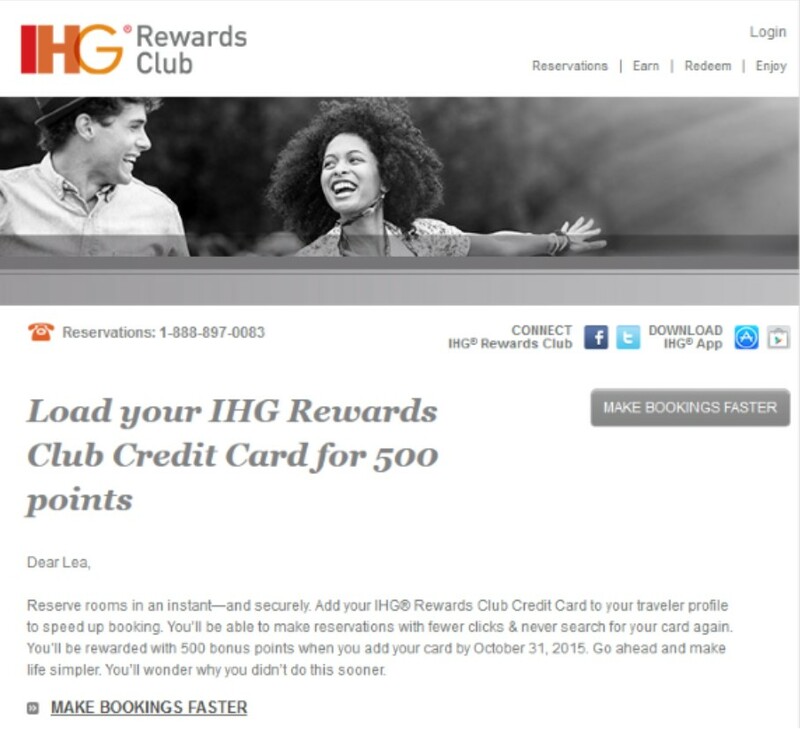 If you have the IHG® Rewards Club Credit Card you can get a free 500 points by adding the card to your Rewards Club profile by October 31, 2015. Rewards Club is the loyalty program of the Intercontinental Hotel Groups, which owns the Holiday Inn, Staybridge Suites, Candlewood Suites, Crowne Plaza and Hotel Indigo brands, among others. Just by owning the credit card you get Platinum status with IHG, though it’s not worth a whole lot – but can be used for status-matching to competing hotels. Best of all, the credit card gives you one free night per year at any IHG brand hotel, including their top-level Intercontinental hotels, all for a low annual fee of just $49. And the fee is even waived the first year! 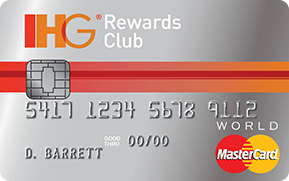 The card earns 5 points per dollar at IHG hotels and 2 points per dollar at gas stations, grocery stores and restaurants. So the card pays for itself. IHG hotels do have a large world-wide footprint with over 4500 properties. If you want to apply for the card, check out this blog post from The Frequent Miler on how to get an 80K sign-up bonus AND a $50 statement credit.